Today, I witnessed probably one of the greatest upsets in professional basketball. I'm talking about how Game 7 of the 2015-2016 NBA Finals turned out. The Cleveland Cavaliers overcame a 3-1 deficit and became the NBA champions. They defeated the Golden State Warriors who had a historic season with the most wins (73) in NBA history. I was never really a fan of basketball. But, when Stephen Curry and #DubNation started making headlines and history I took notice. They were splashing threes, making impossible shots and dominating the league. I joined the bandwagon and fell in love with the Warriors. But, during the Finals things didn't turn out well for them. They faced the unstoppable Kyrie Irving and King James who were also determined to give the Cavs their first Championship. 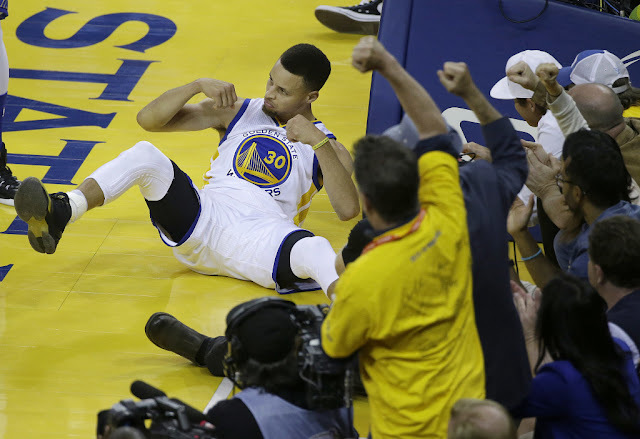 The Warriors' historic season ended with an epic loss in a finals decision game. It was heartbreaking to see them lose in their home court. It was devastating. But, that was a good reminder that really even the best fall down sometimes. You can't stay on top all the time. Things could change in an instant. Circumstances could change in a moment. That's exactly what happened to Steph and his team. At this point, what matters for them is how they will bounce back next season. I'm sure it's time to move on and look forward to making another historic run next season. I just hope NBA's next season would be as exciting as it was this year.